Bill Clinton began the hysteria back in 1996, when he greatly expanded the number of crimes that could lead to forced removal from the US. By 2008, immigrant bashing had become an easy way for any president to deflect attention from more basic economic issues. Obama declared himself the “champion in chief” of immigration law reform. However, under his watch, immigration policy and the scapegoating of the “Other” only grew harsher. Indeed, disappointed Latino activists soon called him the “Deporter-In-Chief” because he was ejecting people at a higher rate than any previous president. In 2010 Obama invested $600 million in border militarization, deploying an extra 1,500 border patrol agents. During his first five years, he deported two million people, more than during Bush’s entire eight years. By 2014, America was expelling illegal immigrants at nine times the rate of 20 years before, some 400,000 per year, even though fewer people were attempting to enter the country. But this was a very selective process. Simultaneously, Obama maintained the Cold War policy that uncritically accepted tens of thousands of Cubans. The spike in deportations has been coupled with the continuation of the country’s unrivaled prison industrial complex. Shortly after Obama was elected, he expanded the so-called “Secure Communities” program created under George W. Bush…(which) relied on collaboration between local, state and federal law enforcement to target undocumented people ensnared in the criminal justice system and labeled “criminals.” The program has worsened racial profiling and escalated the criminalization and deportation of undocumented people across the United States…Under George W. Bush, the program existed in only 14 counties. In 2009, that number ballooned to 88. By 2012, it was ubiquitous across the country. Thanks to sustained grassroots resistance led by the communities targeted, Obama announced in 2014 that he was ending the program. But its replacement—the Priority Enforcement Program—still relies on the targeting of people caught in the prison industrial complex. As recently as 2016, DHS was significantly escalating raids targeting immigrants, migrants and refugees primarily from Central American countries. And the great irony is that all of the programs that Obama put in place – the Priority Enforcement Program, the raids and home invasio ns, the deportation of children and female abuse victims and a massively expanded Department of Homeland Security – will be passed on to Trump. Obama’s administration would be “committed to creating an unprecedented level of openness in Government.” Instead, it became the least transparent in history and became the most powerful surveillance state the world has ever seen. In 2010 the FBI raided the homes of 20 anti-war activists without ever charging them with crimes. Obama offered no resistance when Congress extended the Patriot Act in 2011. In 2012 he signed a five year extension of the FISA Amendments Act which continues to give intelligence agencies the right to wiretap telephone calls and emails of private citizens. In his first two years, wiretaps increased by 34 percent. He waged an unprecedented, aggressive war against whistleblowers and leakers, including nine prosecutions under the 1917 Espionage Act – more than double those under all previous presidents combined. His administration sentenced whistleblowers to 31 times the jail time of all prior administrations combined. It invoked the “state secrets privilege” to halt anti-torture lawsuits, protect extraordinary rendition (kidnapping) and illegal wiretapping and keep classified dozens of opinions, memos and letters on national security issues, as well as over 800 international agreements and an 11,000-document cache of government communications relating to financial policy. It censored government files or outright denied access to them under the U.S. Freedom of Information Act at higher rates than Bush had. The National Security apparatus expanded rapidly. By 2010, over a million people with top-security clearances operated out of some 1,300 government organizations in over 10,000 U.S. locations, alongside 2,000 private security companies, spending over $75 billion. In its final year, Obama reinstated the Asset Forfeiture Fund’s “equitable sharing” program that allows police to seize private assets, often without any proof of wrongdoing, and keep all or most of the proceeds. The FBI instructed high schools across the nation to report students who in any way criticize government policies. 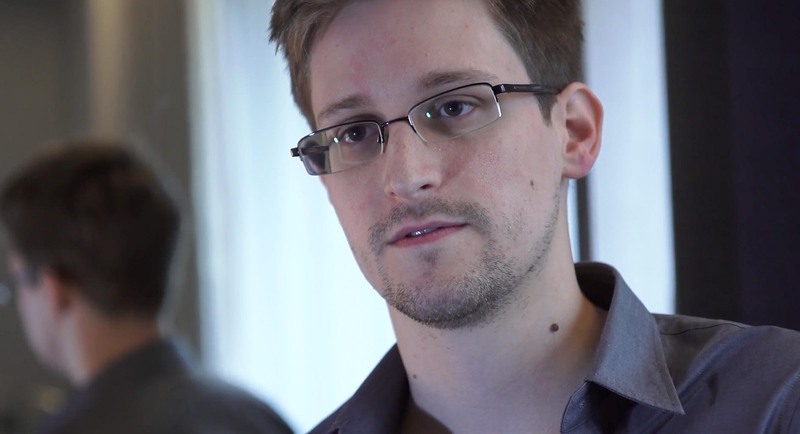 He granted the National Security Agency wider powers to share intercepted surveillance data with 16 other government agencies. The “Countering Foreign Propaganda and Disinformation Act” created a kind of Ministry of Truth – the Global Engagement Center. Even though the FBI would eventually turn on Clinton, Obama secretly enabled it to assume an importance and influence it had not wielded since J. Edgar Hoover’s death in 1972. The FBI then proceeded to wage an immense and mostly fabricated war on potential domestic terrorists to entrap dozens of people (many of whom were mentally ill and highly suggestible). Among 158 defendants charged after FBI sting operations, it turned out that 49 had been snared in plots instigated by one of 15,000 agents provocateur controlled by the FBI. 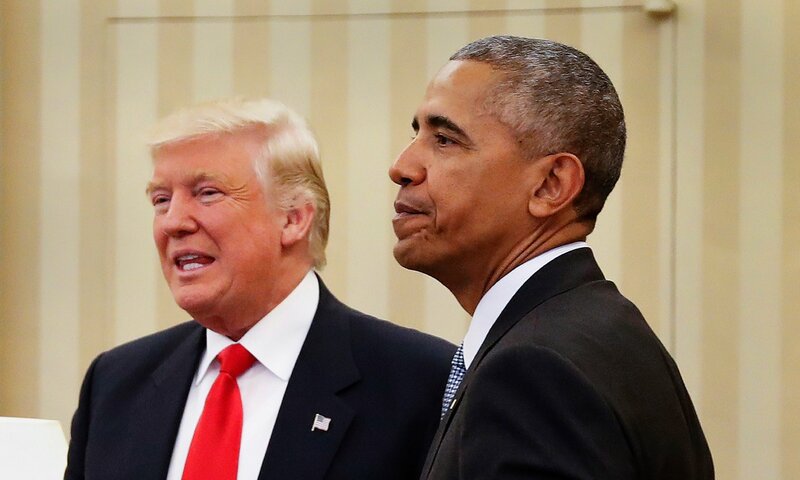 If Trump decides to imprison a whistle-blower for trying to talk to a reporter, or gets the FBI to spy on a journalist, he will have Obama to thank for bequeathing him such expansive power. …the ACA was destined to consolidate the corporate insurance and pharmaceutical industry’s control over U.S. healthcare…The only winners from ACA have been the “healthcare” monopolies. More people than ever are now covered under expensive ACA plans, leading to a predictable surge in profits. For the first time since the height of the AIDS epidemic in 1993, U.S. life expectancy fell between 2014 and 2015 due to rising adult mortality from drug overdoses, suicides and other manifestations of social distress. Under Obama the corruption in three of the nation’s most important regulatory agencies – The FDA, the CDC and the NIH – metastasized to the point where all three devolved into mere shills for the Pharmaceutical industry, to the point where the editor of The Lancet wrote, “Much of the scientific literature, perhaps half, may simply be untrue,” and the editor of The New England Journal of Medicine wrote, “It is simply no longer possible to believe much of the clinical research that is published…” Rather than countering the massive financial pressure of the industry, he picked a Big-Pharma salesman, Robert Califf, to head the FDA. As late as 2016, despite massive public support and consistent evidence of the value of medical Marijuana, the DEA refused to loosen restrictions on its use. Indeed, in one of its final rulings under Obama, it classified CBD oil – the non-psychoactive part of the plant – as a “schedule 1 drug,” in the same category as heroin, which had caused a tripling of overdose deaths in the previous four years. In January 2017 Obama commuted the sentences of a couple hundred pot-related sentences, while leaving several hundred thousand non-violent offenders in prison. This discussion has two primary categories: those who suffer under the vagaries of the poverty-prison-industrial complex, and those in positions of power and influence who have never been punished. After the crash of 1929, the head of the New York Stock Exchange went to jail. In the 1980s the savings-and-loan scandals produced over 1,000 prosecutions. By contrast, the Financial Crisis Inquiry Commission (FCIC) recommended Wall Street executives for prosecution – people who’d been responsible for the crash of 2008 and the home mortgage scandal – but Obama’s Justice Department neglected to take on any of these cases. Indeed, he appointed some of them to his cabinet. Cui bono – follow the money: The banking industry spent over $100 million lobbying politicians and regulators in only the first half of 2011. Three years before, Goldman Sachs, the primary symbol of the stench at the base of the financial industry, had been Obama’s largest campaign contributor. Attorney General Eric Holder predictably focused on collecting settlements, dime on the dollar, rather than seeking indictments. All this occurred, by the way, as America continued to incarcerate a higher percentage of its people – over half of them minorities – than any other nation. To be fair, the federal prison population shrunk slightly. The main factor was the Fair Sentencing Act of 2010, which reduced crack cocaine penalties (from 100-1 sentencing disparity between crack and powder cocaine to a more civilized 18-to 1). Obama supported the FSA. But so did almost every member of Congress, even Jeff Sessions. It would have passed even if he’d vetoed it. It’s an old ploy: take credit for something you had nothing to do with. Obama spoke often and eloquently about changing the culture of mass incarceration and racial profiling, but the national need to maintain a population of scapegoats that mirrored the external Other of terrorism ensured that he actually attempted little to change it. This was certainly the case with gun violence: plenty of talk, almost no concrete initiatives. Of course the Republicans resisted him at every step – except for the first two years, when Democrats controlled both Houses of Congress. Next: Five more categories of domestic policy.